We often get asked if gambling losses are tax deductible. The answer is yes, but only to the extent they offset winnings. You can never deduct any amount of gambling losses that exceed the winnings you report as income on your tax return. For example, if you have $2,000 in winnings and $5,000 in losses, your deduction is limited to $2,000. The remaining $3,000 in losses is your penalty for gambling! Ultimately, the IRS allows you to deduct losses to help you avoid paying taxes on any gambling winnings. But you cannot receive any additional deduction for losses. Also, the deduction for losses is only available if you itemize deductions (in some certain circumstances you can deduct losses outside of itemizing...but this requires copious record-keeping as mentioned below...ask us if you have further questions on this). In order to document losses, the IRS requires you to keep a log of your gambling winnings and losses. This log must include the date, type of gambling, name & address of gambling location, people you gambled with (if applicable), and the amount of gain or loss from gambling. Documentation can include wagering tickets, canceled checks, Form W2-G, credit card receipts, etc. What do money and trust have in common? 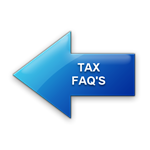 Contact us if you have questions on gambling losses or any other tax questions...we’re here to help!